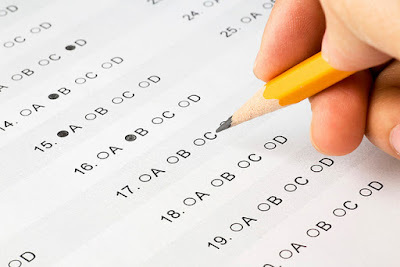 Negative marking in Multiple Choice Answer(MCQ) exams is becoming more mainstream in competitive exams all across India. The intent of negative marking is to prevent students from taking guesses at answers. It is typically quite effective because of loss aversion. In fact, for different NumChoices and Neg Ratio this table can be used to predict marks obtained by Random Strategy at average, given large number of attempts. This analysis however does not tell one too much about what is the right strategy, because it doesn’t tell you how often does the guessing strategy fail you. 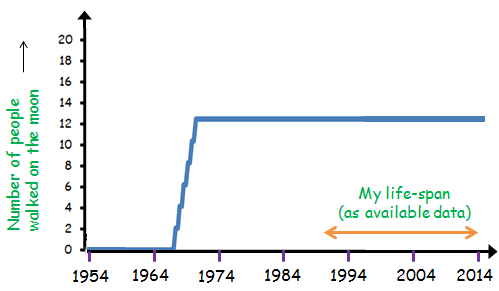 To better understand we need the Lottery Analogy. Imagine there is a lottery with a 1 in a billion chance to win ₹6 billion. The lottery ticket costs ₹5. By the probability analogy just established, the lottery ticket is worth ₹6 billion / 1 billion = ₹6. So therefore by above practice, it makes sense to always buy the ticket. But for a poor man, whose livelihood depends on the ₹5, it would be stupid to invest in the lottery because there is 99.999999% chance he will starve. Similarly, if you are in a competitive exam with only one shot, how do you as a student decide, if this one shot is worth the risk. Or what is a probability of getting a zero or greater score by the random strategy? For the analysis so far - only in the unique situation where the probabilistic result is zero, is there clarity over there being 50% chance of the Random Strategy being better than the Refrain Strategy. This time we will have to move away from direct probability and move to a more brute force solution. For starters, we will simulate someone taking the tests with 100 questions being answered at random from 4 choices with +4 for a correct answer and -1 for an incorrect answer 1,00,000 times. The above plot indicates the % of tests in the simulation in which the score was higher than the corresponding number indicated on horizontal axis. So, interestingly for this case only 10% of the time does one end up with a net negative score on randomly guessed questions using the Random strategy. On the other hand there is the same 10% chance to get 57 free marks. 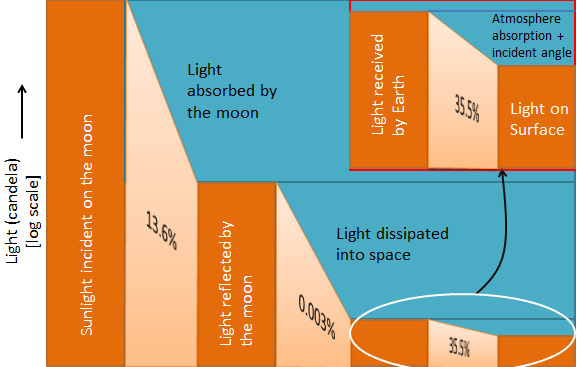 The average as predicted by the table above is around 25 marks. So Random Strategy could be very beneficial. Here is the same plot for +3 and -1 type of exam. The gaps between the columns are because in this scenario there are some score that are not possible. As expected from the table above there is close to 50% chance of the Random Strategy doing better than the Refrain Strategy. Significantly, not only has the average moved to 70, but also the chance of random strategy failing you is now down to 0.1% or 1 in a thousand. Now no test in the simulation scored < 0. In fact the average positive gain has moves to 127 marks. No test in the simulations with score < 0 and Average moves upto 152. For negative marking exams with NumChoice = 4 and NegRatio > 3, Random Strategy is looking strong. Specifically, in situations where the test is non-randomised, an option is eliminated or there is a strong hunch, there is almost no possible way to be negatively affected by the Random Strategy. Fast and the Furious 7 comes out this week and we are very intrigued by this trailer which has our heroes jump out of a plane in cars. You have to love how the guys in the Fast and Furious 7 find innovative ways to get their cars to weird locations. Were there other ways? Yes, but this is cool isn’t it? If you decide to make a similar drop for yourself, may be to crash a party in style or drop straight into a major sporting event here are the top 5 things you must check for. It is critical for you to get the place you latch the parachute onto your car correct. As cars are designed to run on four wheels it important that it lands on its four wheels so that you can saunter off to do what you want once you have landed. 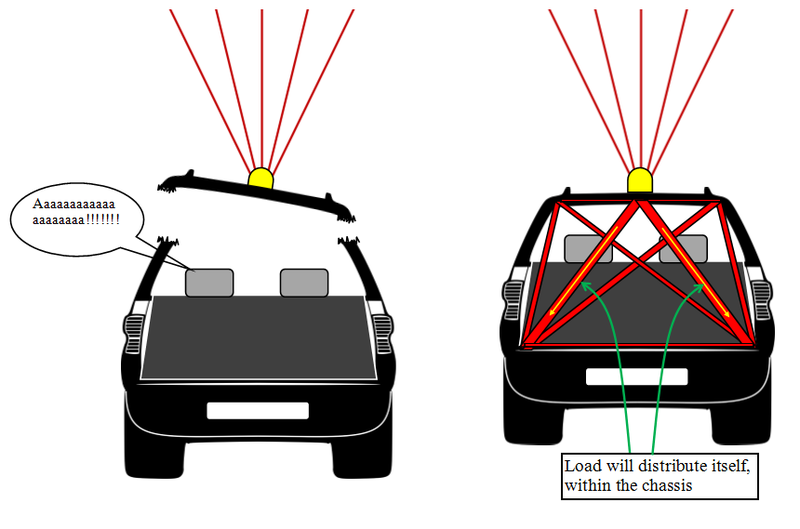 This can be easily established by working out where the Center of Gravity (CG) of the car is, and the chute pick up point must be directly above it. A convertible will probably not work. It is important you have a soft landing not wrecking your suspension. Road cars can be modified not too much to continue operation post approximately a 1 meter jump. 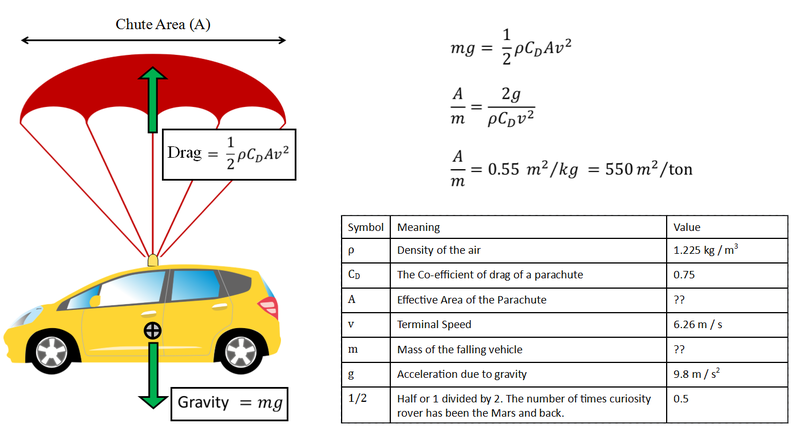 This gives the car a landing speed of 6.26 meter/sec. 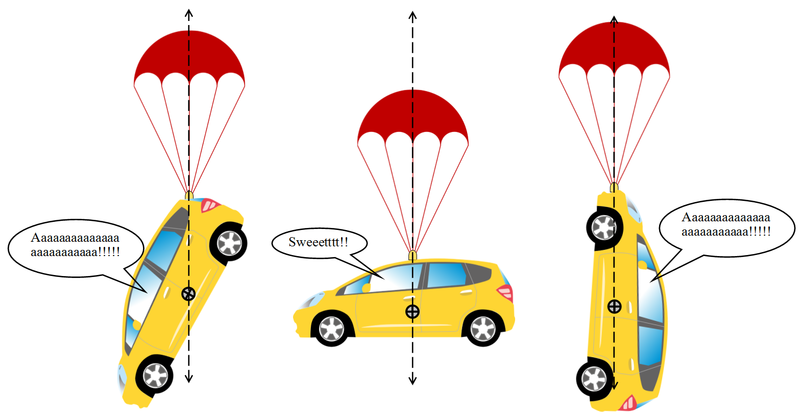 The parachute must be at least 550 square meters per ton of the vehicle and driver weight. 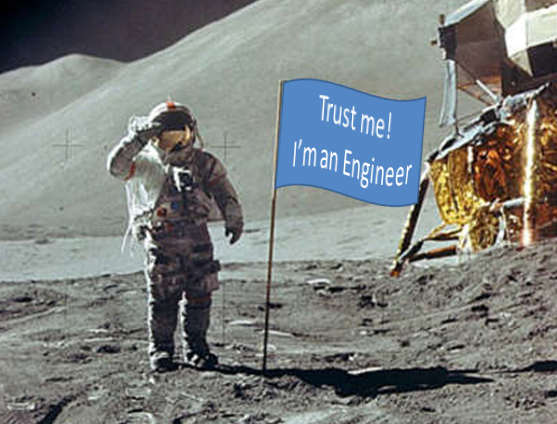 The diameter of the chute for a 1000kg (1 ton) vehicle must be at least 26.5 meters. 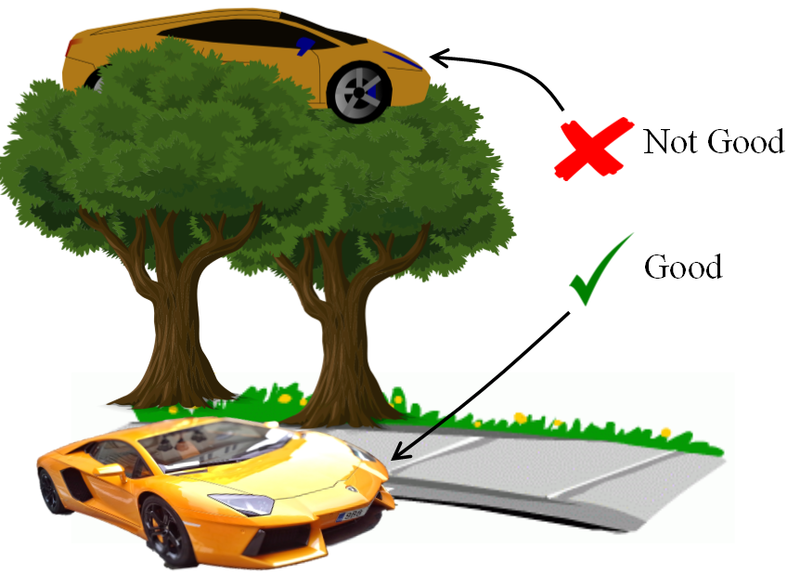 A car is useless if it lands on the top of a tree or in the middle of a lake. Parachutes can be steered by steering toggles. Make sure you have them inside the car before you set off from the plane. Even better if you can connect the toggles to the steering rack. After you have done all of this, you don’t want your car to break down because you did not have brake fluid in your cylinders, right? So please check these basic things before you jump. The Cricket World Cup 2015 is finally over and Australia are the champions again. They are certainly the best team in this competition. In fact, knock out tournaments are well designed to find out the best teams in the competition. In fact, it can be shown that a knockout system is the most efficient method to find out which team is the best in a given set assuming the results are transitive. This format unfortunately is not a good one to find the second best team in a set of teams. For example Australia beat Pakistan, India and New Zealand in that order to win the World Cup. Which means that any one of the 3 teams could have been the second best team after Australia and were just unfortunate to play Australia early in the tournament. However, there is more data from this world cup to play with. The elaborate round robin group stage before the knock out stages provides more results to play with and apply transitivity. For example, famously India played Pakistan on the second day of the World Cup and India won that encounter. Which means that one of New Zealand or India is the second best team. Unfortunately, since the both India and New Zealand were in different groups and they won all their matches in group stages, data from the group stages does not sort the problem of which is the second best team. Note: The game where New Zealand beat Australia is ignored because Australia beat them in a game that mattered more. If New Zealand would have beaten Australia in the final then the transitivity could have accounted for the full ranking. However, now an India Vs New Zealand match is needed to sort this once it for all. This will make the world cup more productive. 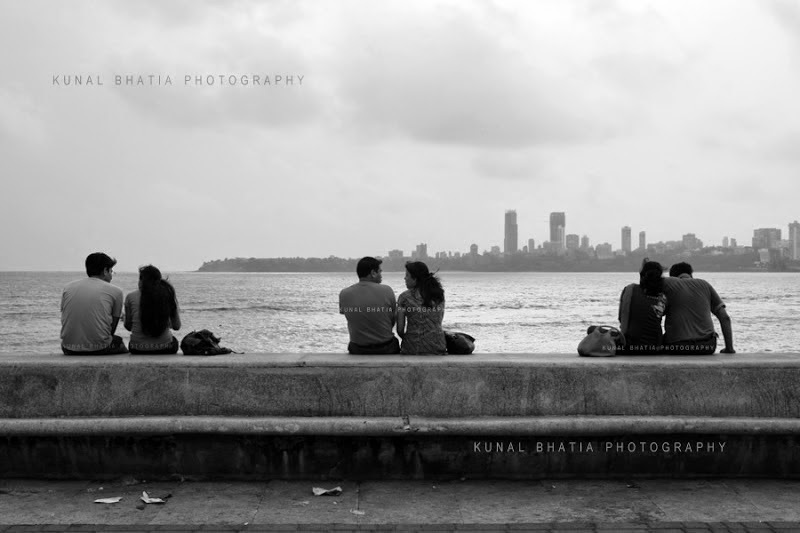 An interesting observation made by @TheToothsayer when we recently visited Marine drive was that the couples that sit at the sea front, sit equidistant to one another, quite precisely equidistant that too and over large distances. This nonchalant observation has more interesting insights than what is prevalent on the first look. Two odd things – firstly, there is no clear coordinator imposing that they should be sitting at a certain distance from one another and secondly, there seems to be no conscious effort to do this coordination. It just happens, it happens every single day. The couples like privacy [citation experience needed] and they will optimize their distance from other couple such that they will maximize the minimum distance they have from any other couple. There is a distance after which increasing the minimum distance from the next couple has no added value. Simpler way to state this is that a couple once a certain distance away from the next couple will just choose that spot because it’s not worth walking further. Similarly, there is a distance that is the minimum acceptable distance from the next couple, that a couple can tolerate. This means that if the maximum minimum distance from any couple is less than this distance, then the couple will choose to wait for a spot over squeezing themselves awkwardly between the other couples. What is remarkable here is that all the 3 rules were for each individual couple and there was no coordinating agent that ensured that an equidistant pattern was formed. This is a purely self-organized pattern, which is a social trait of human beings. In fact, it would be safe to say that if there had been an established authority that made couples sit equidistant, then there would be resistance and it would not work with the smoothness it does naturally. There is one situation when this logic does break down. When two neighbouring couples leave at the same time, where would the arriving couple choose their spot? If the 3 logical rules are to be followed, then position A is the logical choice but Position B and C would keep the couples equidistant. I asked 30 random people on the train I am on right now, which position they would choose (I told them what I was doing after they chose). 27 out of the 30 chose position B. I would have chosen Position A because I would like to think I like logic over symmetry; however that is probably my frame of mind when writing this. Nature loves symmetry and it is clearly manifested in the human mind. And THAT is why couples at Marine Drive are equidistant to one another. 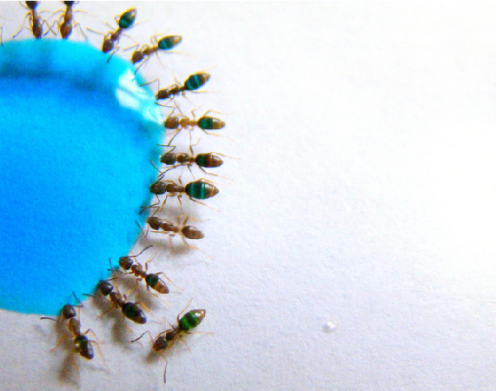 Edit: This article has resulted in an overnight Phd into co-operative behaviour in the natural world – Seems like this is not only a human trait; interestingly here is a picture of ants self-organizing into equidistant pattern around their food. Also surprisingly, Cognitive Biology is way simpler to make sense of over Photometry.